Press brake tool storage is a major consideration for sheet metal manufacturing operations, as press brake tooling is an expensive item. In answer to the storage needs of fabricators, Boscotek has introduced the tool vault mobile press brake tool storage unit. The unit has been designed to provide secure storage for press brake tooling – accommodating, protecting and securely maintaining valuable press brake tooling and accessories. The base and body of the unit is zinc coated and the tooling storage unit is fully welded for strength and durability. Full extension drawers can be easily removed from the cabinet with roller bearings on drawer wheels. 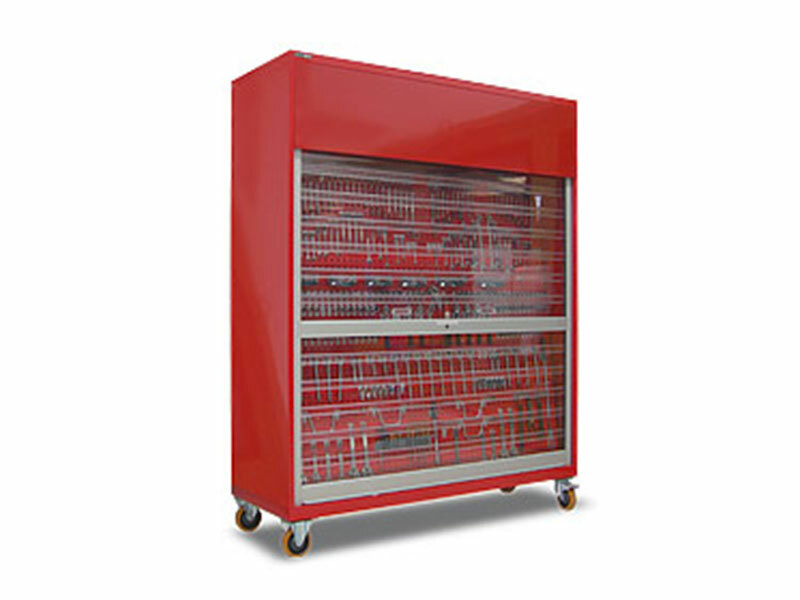 With flexible interior configurations, the storage unit houses 5 vertical drawers and specifically designed adaptable supports to enable tools to be stored firmly within the unit. The tooling storage unit sits on fork pontoons enabling forklift access and relocation of the unit whilst fully loaded and the secure self locking device means drawers will not open whilst the press brake tool storage unit is being moved. 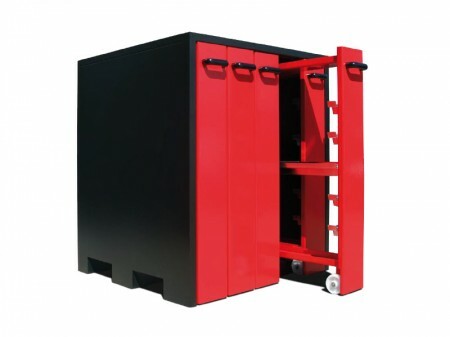 Tool Vaults large durable pull handles make accessing tools easy and stored within the tooling storage unit tools are easy to locate and protected from damage and it has been purpose-built to accommodate a variety of tooling storage including Amada and Trumpf tooling. 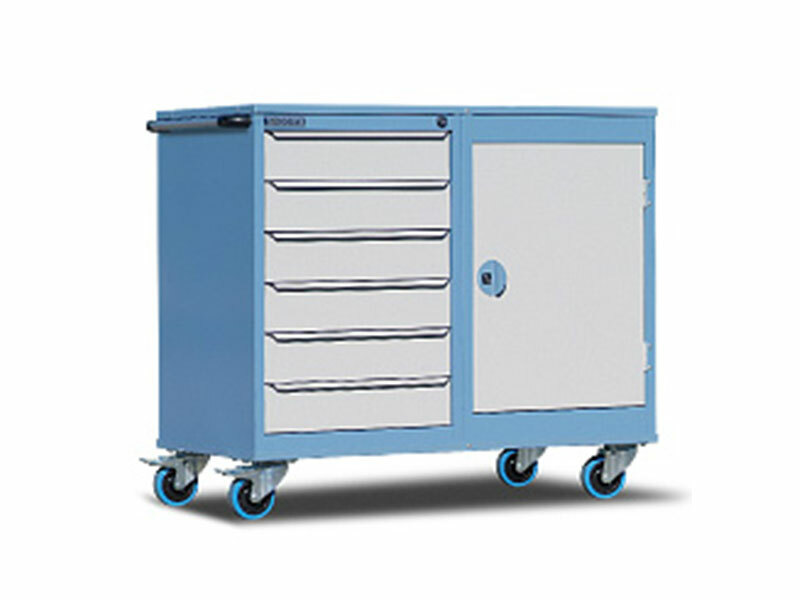 Sliding upright drawers provides safe and practical storage for tools. Tools are protected and easily accessible at all times. The supports can be adapted to store a variety of tools. Tools can be easily accessed. All supports can be repositioned easily. No screws or fixing required. Drawer wheels incorporate roller bearings for improved functionality and durability. Large handles make accessing tools easy. To enable relocation, forklift grooves are provided in the base, the cabinet can be moved using a pallet jack or forklift while fully loaded. A secure self locking device means drawers will not open when being moved.